Not enough information available. Please contact the Islamic Center to get More information. Not enough information available about which method this mosque follows so please check with the managemnt of the mosque. 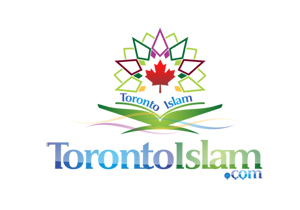 Durham Islamic Centre is a registered charity organization with CRA, serving the Muslim community of Whitby and surrounding areas since 2012. Local Muslims began their worship in a house, but as the numbers grew, a Musalla (Temporary place of worship) was arranged in 2013. However, the Muslim population of Whitby and surrounding areas grew tremendously within couple of years, creating a dire need for a Mosque/Islamic Centre. Alhamdullilah, by the will of Allah SWT, in January 2017 we purchased a new property at 4618 Country Lane, Whitby for the purposed usage as a mosque as well as an Islamic Centre. One of the beauties of the Muslim community at Durham Islamic Centre is that it is comprised of many different nationalities praying as one jamaat. Your first-hand experiences with this Mosque really help others. At this time there are no comments or reviews added for Durham Islamic Centre - Whitby Whitby. Be the first one to add a Comment or Review. Be Heard and Help your community by voicing your opinion.